Statistics show that staged homes sell faster, and for more money. And in this ever-changing market, the first impression of your home is critical. 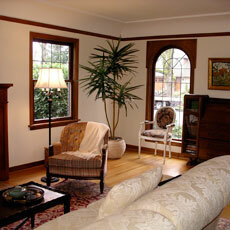 Staging involves creating an atmosphere that is spacious and welcoming, yet neutralized. Buyers want to visualize themselves living in a new home, without the distracting personal effects of the previous owner. We set the stage for increased interest and potential sales, whether you are a Realtor, working with a Realtor, or selling on your own. To see examples of staging, visit our gallery.